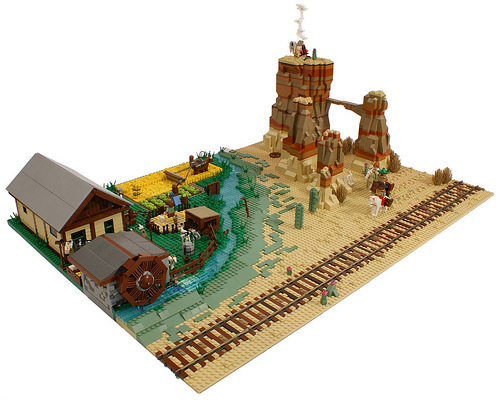 Croatian LEGO fan Matija Grguric has been on a Wild West building spree lately. His most recent diorama captured the look of the American West better than any American builder has (to my knowledge), complete with the banded colors of the Badlands. Matija is building all of his Western creations — from the Black Cat Saloon to Market Street — for an upcoming Club Kockice exhibit. I’m really digging Matija’s stuff. The modelling is exceptional but what really draws me in is the variety of color. 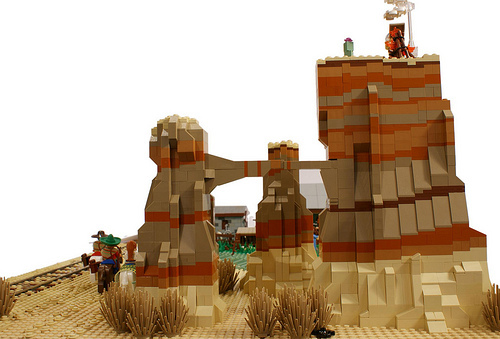 Most Wild West MOCs are tan and redish brown but Matija’s work incorportes so much of the really rare colors. I know how much of a paint that is but it really pays off with the vibrancy of the scenes. Just noticed the strata in the rock. Great detail!